Maintenance Free Decking - Create a Maintenance Free Aluminum Deck that Keeps Looking Great Year After Year. 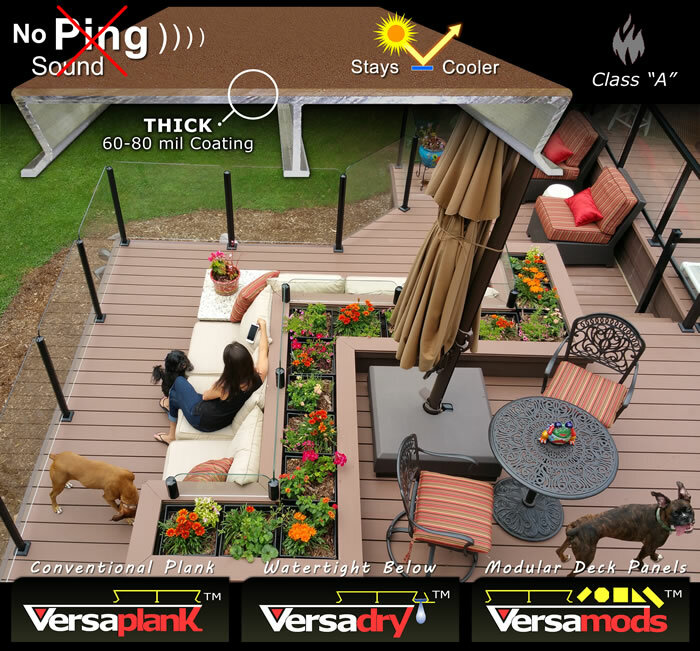 Versadeck™ decking systems are high performance outdoor aluminum decking products designed to look great for decades. Enjoy the value of owning a deck with virtually no annual maintenance costs. Versatility - Decking is extruded Plank Decking, Modular Decking and Waterproof Decking that's combine-able for Residential Decking or Commercial Decking use. Learn about Aluminum Railing, Aluminum Deck Framing System and Deck Kit Package Options. 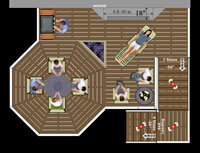 For deck design help, and how to get a a price estimate, visit Price Tools. Comfort - The Versadeck™thick Polyurea Deck Coating is the difference that home owners prefer. It's comfortable on your feet and stays cool in the hot sun. 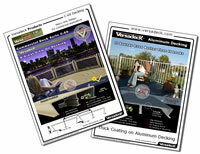 Durability - Versadeck™ Residential Aluminum Decking products are backed up by a Limited Lifetime Transferable Warranty. 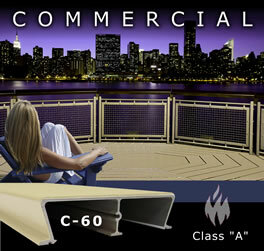 Learn about Commercial Aluminum Decking. Truly The Last Deck You'll Ever Need! - Choose Versadeck™ Polyurea Coated Aluminum Decking Products for Your Next Deck Decking needs, and make it Your Last Deck.